Assert your rights to visitation. Efficiently navigate the legal process associated with visitation cases. Obtain favorable outcomes to these cases so you can look forward to your future time with a child. Visitation must be in the best interests of a child – The single most important factor that the courts will consider when determining whether to grant (or deny) visitation in a given case will be what is in the child’s best interests. In other words, if visitation with a given adult (a parent or a non-parent) is NOT found to be in a child’s best interests, the court will typically not grant it. 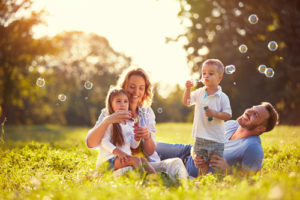 The court will try to keep both parents involved in a child’s life – What this means is that the court will usually try to grant parenting time to both parents in light of the fact that a child can generally benefit from having a relationship with both of his or her parents. Therefore, if sole or primary custody is granted to one parent, visitation may be granted to the other parent. Visitation can be supervised – When the court deems it necessary, it can order that visitation time with a child be supervised by a court-appointed individual (like, for instance, an official from Child Protective Services). In general, however, supervised visitation is reserved for cases in which one parent (or other adult) has a history of alcoholism, drug addiction, domestic violence, or any other issues that may impact the welfare and/or health of a child. Visitation orders can be modified – Once a family law judge issues orders regarding visitation with a child, these orders will stand unless or until a given party pursues modifications of them in the future. In particular, modifications of visitation orders may come into play if or when the circumstances of either parent (or other adult involved in the child’s life) may change substantially. Do you need help obtaining visitation of a child or modifying an existing visitation agreement? If so, you can trust Scottsdale Visitation Lawyer Karen Schoenau for experienced help, honest answers and effective representation. Since 1987, Karen Schoenau has been committed to helping people resolve their sensitive family law matters, including complex cases related to visitation and custody issues. To receive professional advice regarding your visitation case, schedule an initial consultation today with Attorney Karen Schoenau. You can set up this meeting by calling 480-845-0251 or by emailing us using the contact form.